This blog is AWESOME! I’m so glad I was surfing today and found it. It was just what I was looking for! I have been doing this for awhile now and this even tought me something. Keep up the awesome work. I’ll be back to read more! Good points about starting a PPC company. I do think it is very important to have a different selling point or “unique” selling point that is different than your competitors. However, if your competitors do not attend to their customers and publishers in the best way, then ultimately you will have better chances at success when first starting out. 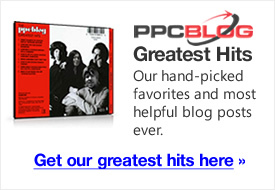 One thing that I have really noticed with alot of PPC companies is that they do not treat their publishers right. This is important because without publishers you would not have a network to market with! I think that have a network of publishers before you start a pay per click company is one of the first step in executing the business plan for this type of business. It’s also a good selling point to your advertisers. Just my thoughts.